Here are my thoughts, what are yours? Expanded development of mortars and allowing indirect fire be more effectual with range and lethality. We should have an indirect fire gun to engage the enemy at ranges beyond 500m. Recommended ARVS: M32A1B1 for the Allies (modeled after the M4A1 but for development purposes may I suggest the M4A2 lower hull) and the Berge Pzkw IV for the Axis as a universal ARV for all Axis platforms (including the Tiger). It's ahistorical, I know, but we already have the running kit in game so an inexpensive development cycle. No need to have to model the Panther to get to the Berge Panther or the Sdkz 9s and gang them together. Use of the AFV crane/hoist - no need to worry about a transport trailer, etc as we can carry the AFV on the hoist for the RTB. I have tested the strength of the hoist using a freighter and another AFV in an unsecured position. I can maintain a connection to the lifted piece equipment AND sail at a speed of 9 knots (16.67 kmph) indefinitely but as I approach 10 knots of speed I lose the connection. I have tested this multiple times on the training server. Extremely rare unit but a terrifying unit when used appropriately. Use of .alt = what is my present altitude (you would know your altitude in relation to sea-level. This is helpful for indirect fire. Use of .alt HAYBES = you would know the altitude of the city you are about to bomb, etc versus having to consult your City chart. Use of .grid = what is my present LAT / LON versus having to use the Map Informational page and looking at a particular field. It would be nice but not sure how it would work but can we build in a dispersion for contact reports? Everything gets laser-marked now which was certainly not the case back in WW2. I am a huge advocate of the contact report but all you need is one set of Mark I eyeballs to ruin your day as your opponent spawns the super-sappah/shrek-zooka or Thor's Spar of DB7 to rain lightning down on you. There is a certain randomness now to the contact report but an experienced player can provide such an accurate mark that one feels like your fighting a 2019 war with a 1940 skin. This is primarily for the Navy boys as they need a good way to map out a good route to their target, the number of nautical miles to reach their objectives, and a generic way to determine sailing time to the objective. A good tool is Sea-Seek provided by Google Maps that I played with the other night and thought would be a good out of game tool. 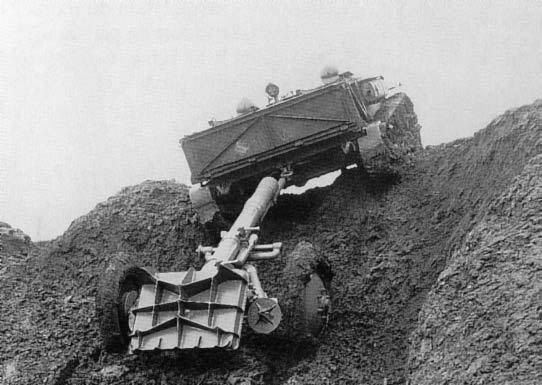 This is really needed as CRS has developed AFVs that during WW2 provided direct and indirect fire. Factor in the heavy vegetation environment to include berms, bushes, and copses of trees, etc that platforms cannot fight as designed. I would estimate that the average engagement range for any gunned platform in WW2OL is at or under 500m. These are numbers that CRS should be able to pull from their data as Tank X at lat/lon XYZ is engaging TANK Y at lat/lon 123. By tracking the rounds, those platforms can fire at range while contributing to their sides efforts in a more realistic way than currently. Love having a lot of that, but may I suggest not forcing a tow for the ARV, just a successful RES if parked next to the disabled but still alive tank? Just give the ARV a unique camo job and it will be a primary target- the test will be if it survives getting to the rescue tank. I wouldn't count on the flamethrower on this engine- just too much to ask of it IMO. On the marking, i think it's ok given that many people mark badly so they introduce natural fog of war in, and the mark to me simulates a whole reporting/comms structure that the much larger battalion/regiments plus we would be operating in this amount of space for a battle would have. What's not realistic is the calling in of air strikes. I'd say make that a specialized inf unit, a Forward Observer with personal rangefinders and radio. Make only 1-5 of those per brigade/town list, and they are the only ground units whose marks go on air maps (air guys can mark on air maps, of course). Old CRS said in a design-capabilities discussion that flamethrowers and other incendiary weapons were not developable yet because a bunch of corollary mechanics...Burning states for all the world elements, Destroyed states for the vegetation elements, zoned damage states for large buildings, fire spread within a building or between proximal buildings, more difficult ignition and fire extinguishing in rain, illumination at night, and injury/damage for infantry and other soft targets entering into a fire zone or indirectly exposed to a fire weapon...don't exist, and resources to develop them all don't exist yet either. It also was discussed that world damage models would need to become more complex. A burned tree is Destroyed but still stands; a tree knocked down by a tank or a bomb is Destroyed and laying on the ground. And, a large building might have two rooms on the first floor on fire, but the rest of the building in undamaged condition...until the fire spreads horizontally or vertically...and the fire would cause those rooms to be lightly damaged, then heavily damaged, before the building's structural integrity was affected. AFAIK, all of that information remains valid. The French Brandt 60mm and 81mm mortars were license-copied with minor changes by USA. Basically, they were the same weapons. The French ones would have T0 availability. No reason for the French to get the US ones via Lend-Lease, as long as the French haven't been defeated. 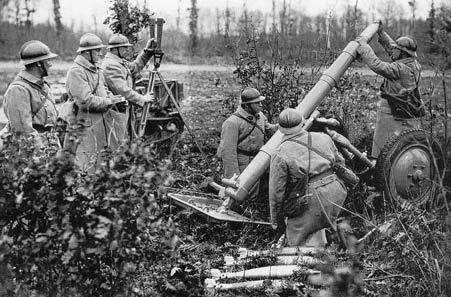 The French (Brandt again) developed the original 120mm mortar. The USSR bought a license and made their own, and the Germans captured some, liked them, and began building their own. I'm pretty sure the caliber of the Brit 3 inch mortar was 76mm, not 81mm. The US never actually had any of, or used, the French 50mm mortar. That's just a CRS game artifact that hopefully will go away once the 60mm is modeled. The kurz and schwer 81mm mortars were the same caliber, I think. USA also used a copy of the British 4.2 inch mortar. Agree on the French kit, my reference material gave deference to the French models of development but the nomenclature in the text (for the large caliber) was all USA hence how I added it in my spreadsheet. No offense to Brandt as his design was a great leap forward that everyone copied. In the GE & USSR sections, they heavily referenced copying of the French 120mm. I omitted the 120mm mortars as the 6000m range is a little extreme for the present game, imho. Just thought of an interesting way to do the ARV through the PPO engine - create a one pixel PPO that the ARV can build that allows armor rtb. ARV pulls up, does a 2-3 minute "build", and there you go. I would personally prefer to see armor getting towed back to base. Give it a decent amount of points (say 50) to give new players needing rank something to do.